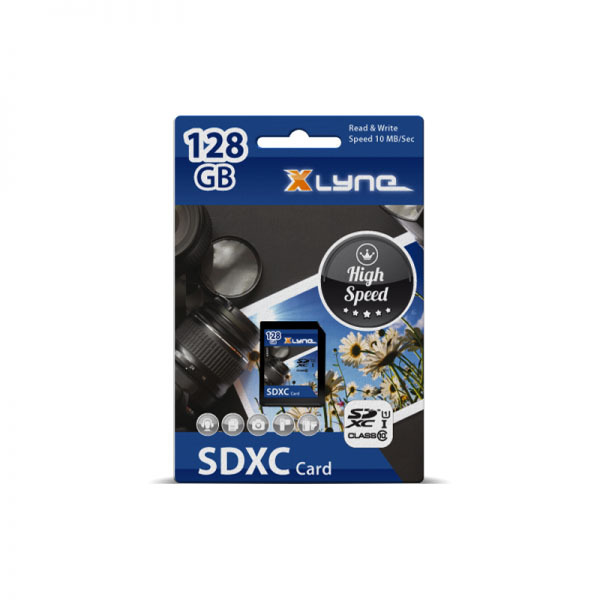 SDXC Cards Class 10 by XLYNE store your files at a speed of 10MB/sec so you can save your files, images, music and videos quickly. SDHC cards by XLYNE were developed especially for the mobile usage with digital cameras, portable music-players, camcorders and mobile phones. Distinguished by highest data security and best transmission rate. This means no delay while photographing as well as fast copying and downloading of multimedia- and office data. Perfect for the mobile use of SDHC-enabled digital cameras, navigation systems, PDAs and other devices.